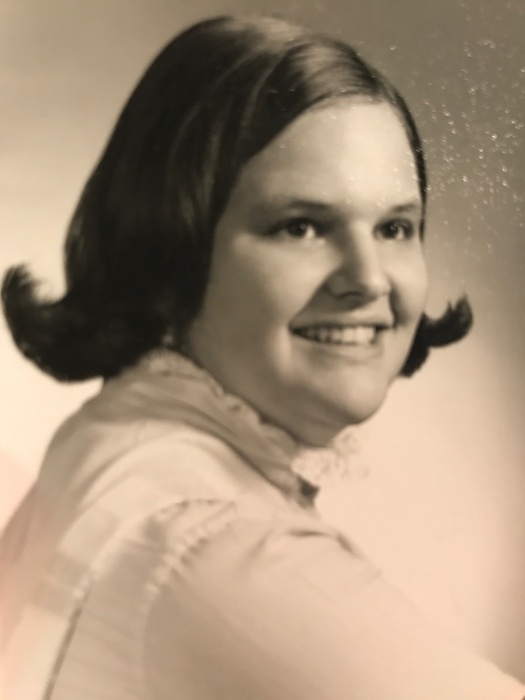 SOUTH BEND – Christine “Cris” L. Bender, 65, residing in South Bend, Indiana passed away Tuesday, September 4, 2018 at BellTower Health and Rehabilitation Center, Mishawaka, Indiana. Cris was born on November 9, 1952 in South Bend, Indiana to the late Alexander A. Rienks and Gladys M. (Moeller) Rienks. She was a 1970 graduate of Edwardsburg High School, Edwardsburg, Michigan. Cris worked as a lab technician at the South Bend Clinic. She has lived and worked in the South Bend area for most of her life. Cris is survived by her two daughters, Tracy Stuart and Angela Morgan, both of North Carolina; two grandsons, Grant Stuart and Mason Stuart; sister, Jean Rienks of Edwardsburg, MI; and two brothers, Bruce Rienks of Edwardsburg, MI and Steven Rienks of Napierville, IL. Along with her parents, Alex and Gladys Rienks, she was also preceded in death by her daughter, Heidi Marie, and her sister, Sue Stevens. A Celebration of Life Service will be scheduled at a later date. Palmer Funeral Home River Park Chapel and Southlawn Cremation Services are assisting the family with arrangements. Contributions in memory of Cris may be made to The Clubhouse of St. Joseph County, 1153 Northside Blvd., South Bend, IN 46615. Online condolences may be expressed to the family on this webpage (www.palmerfuneralhomes.com).